Early French travelers that used the Arkansas River for transportation began to use a series of landmarks to note their travels, one such landmark was a small rock formation dubbed "La Petite Roche," or "The Little Rock." From this geographically marker the capital of Arkansas, Little Rock, received its name. Since its early days as a river traffic outpost, Little Rock has grown into the most populated state in Arkansas with a residential population of just about 628,000 citizens. The large population, its centralized location in the state, as well as being the capital are features that have made Little Rock a city best suited residential living as well as a home for emerging and established businesses. The city of Little Rock takes pride in its ability to blend small town Arkansas with the modern accommodations of a larger metropolis. Coupled with the city's amazing park system, variety of museums and historic sites and an event calendar that keeps the entire population entertain and engaged, Little Rock Arkansas is one of the best visited and sought after regions in the entire great state of Arkansas. In 1682 the famous French exploring party, the La Salle Expedition, made their way down the Arkansas River and upon seeing a formation of rocks on the southern bank of the river, decided to disembark. The site where the party landed was named "La Petite Roche," to document their travels and journey for future parties. This "Little Rock" area was then transformed into a small French trading post, the site remained relatively unknown for many years. Eventually the trading post community gained some interest and was beginning to grow; and by 1769 a settlement of sorts began to emerge around the La Petite Roche, comprised mainly of French settlers and local Native American tribes. In the year 1803, the Arkansas lands were sold to the United States as part of the Louisiana Purchase agreement with the French. American settlers began to journey to their newly acquired territory though came under opposition with Native Americans in the area. Several treaties and years later, the territory of Arkansas was officially created and began to garner attention from various land purchasers and other settlers from across the state, many of them flocking to the district of "Little Rock." 1821 saw the legal notice that the area of Little Rock was to be the new capital of the territory of Arkansas, officially founding the city of Little Rock at the same time. And by the time Arkansas was inducted into the Union of these United States in 1836, Little had began to show signs of growth and prosperity and was in turn named the state's official capital. Since its days as a secluded French outpost, Little Rock has grown into the most populated city and one of the most respected areas in all of Arkansas. This capital city envisions a grand future for its state and her citizens, while still maintaining its rich and vibrant history that has severed it so well. Few cities can claim to have an awarding winning city park system, one that operates at a higher standard than most and provides its citizens with the best in outdoor recreation. In the Arkansas city of Little Rock, the department that operates and maintains these pristine parks is the Little Rock Parks & Recreation Department. This organization responsible for some of Little Rock's most beautiful and relaxing escapes and destinations is always recognized by the United States as the 30th agency to receive accreditation of Park and Recreation Agencies, one of the highest honors any city could receive. Recreational, educational, and ecological destinations are frequent throughout the city and each offer and variety of features and unique traits; please take the time to review our list of some of the most frequented parks in Little Rock Arkansas. Located on Cantrell and Cedar Hill Road, Allsopp Park has become one of Little Rock's most used metropolitan parks and where attendance per year can reach into the tens of thousands. MarArthur Park can be found at 9th and McAlmont and is the city's oldest municipal park, offering visitors a glimpse into historic Little Rock life. Murray Park resides on Rebsamen Park Road, along side the Arkansas river and is one of the best summer park spots. 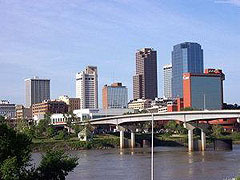 Little Rock's Riverfront Park can be found on in the historic downtown district of Little Rock, on LaHarpe Boulevard. This wonderful park stretches eleven blocks on the south bank of the Arkansas River. 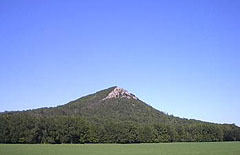 Found in Little Rock's very own backyard; the cone-shaped peak of Pinnacle Mountain is a central Arkansas landmark, rising more than 1,000 feet above the Arkansas River Valley. 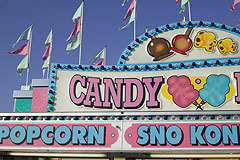 Little Rock Popcorn festivity standLittle Rock prides itself on being a fine example of Arkansas living, maintaining a beautiful and stunning natural landscape as well as providing its citizens with the community atmosphere of small town life with the amenities of the big city. The variety of events and festivals occurring throughout the Little Rock calendar year are the truest examples of this ideal blend that is the Little Rock community. With events such as the annual river festival "Pops on the river," sponsored by the Arkansas Democrat-Gazette, or the yearly Halloween tradition of the "Boo at the Zoo,"brought to you by the Little Rock Zoo; Little Rock truly has something for everyone in the family, both young and old. Please take the time to review our list of some of the annual events that take place here in Little Rock Arkansas. Admission is free to this Arkansas Democrat-Gazette funded event, performances by the Arkansas Symphony Orchestra and a fireworks display make this festival a must see. Multi-cultural diversity is celebrated in Little Rock through food and music, dance and art. This two-day festival displays the diversity of the Arkansas community and its role on the global scale. With all the food, activities and celebration at Oktoberfest, the month of October has never been more fun. Be transported to the pioneer days of the state of Arkansas with mountain men and pioneer performers during this fall celebration. Displays of settlement life and hands-on activities for all are available. Every year, the Little Rock Zoo is transformed into a spooky yet safe family experience, including a haunted house and pumpkin patch. With an area steeped in so much history and providing a pivotal role in the history of Arkansas, Little Rock has seemingly made it its mission to accurate preserve and showcase their history for future generations to experience and enjoy. Throughout the entire city, a variety of different museums and other historic sites can be found and explored. We encourage all - not just visitors to the area but all that wish to be immersed in the rich past of this moving region or Arkansas - to review our list of museums and city wide historical sites, come find out a little bit more about your new hometown of Arkansas. The Arkansas Inland Maritime Museum is home to the USS Razorback, the longest-serving submarine in the world. This record holding naval vessel served 51 years of service before finding its final home here in Little Rock. Historic Arkansas Museum celebrates Arkansas' heritage with its six galleries of Arkansas original art as well as four original Little Rock dwellings on the museum's grounds. This museum is provided by the Department of Arkansas Heritage. This Little Rock landmark commemorates the courageous acts of the "Little Rock Nine," The nine African-American students who entered the Little Rock Central High School under federal troop protection in 1957. Located in the historic Arsenal Building, the MacArthur Museum of Arkansas Military History honors the contributions and sacrifices of the many Arkansas military men and women throughout this state’s great history. Arkansas' premier museum of science and history, the Museum of Discovery is the perfect places for eager minds of all ages to learn and grow. The Museum of Discovery is AAM Accredited and a Smithsonian Affiliate. This building, The Old State House, once home to the Arkansas’ first state capitol building. The now historic Old State House and its museum serve as a reminder to all the residents of Little Rock of the great accomplishments of this city and state. Little Rock native and former president of these Untied States, William J. Clinton's Presidential Library and Museum can be found here in Little Rock Arkansas. Features include a 100-foot-long timeline presenting the day-to-day work of the President as well as other exhibits displaying President Clinton’s achievements and gifts. The arts are alive and becoming big business in Little Rock Arkansas, a community known for its diversity and cultural movements. Throughout the city, the moving experience of visual art is present through a variety of different galleries and exhibition areas. Take the time to immerse yourself at the Arkansas Arts Center, or experience a new generation of creators at the University of Arkansas at Little Rock Art Department Gallery. 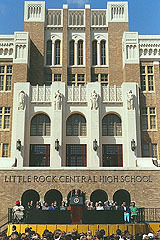 Besides being the states’ capital city, it seems Little Rock is also the capital of Arkansas' cultural movement as well. The state's leading cultural institution, the Arkansas Arts Center is located in historic MacArthur Park and features many features elegant art galleries and collections. Part of the Central Arkansas Library System, the Showcase Arkansas Gallery is home to a resident collection of work but also is host to many international exhibits throughout the year. The Showcase Arkansas Gallery is located in the renovated 1906 Cox Machinery Warehouse Building in the Historic River Market District. Emerging artists try to find a home here at one of the three galleries maintained by the University of Arkansas at Little Rock Art Department. 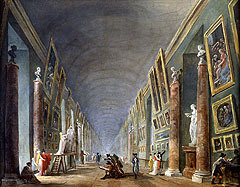 UALR aims to provide opportunities for education, inspiration and experimentation in the field of artistic expression. Family entertainment and fun are permanent fixtures of the Little Rock community and lifestyle, residents and guests alike will be engaged and entranced by the plethora of entertainment options available in this capital city. From larger than life IMAX movies to wildlife wonders at the Little Rock Zoo, Little Rock Arkansas is a destination not to be missed for those looking for a good wholesome time. We have gathered a list of the most popular and pleasurable places all across Little Rock, take the time to review this list and find out where to go next in your Little Rock experience. Arkansas' only IMAX Theater is right here at the Aerospace Education Center, as well as a slew of other aviation and aerospace exhibits. An original Sopwith Camel and a replica of the Wright Flyer also call the Aerospace Education Center home. Roller skating, ice skating and broomball are all available here at the Arkansas Skatium, Little Rock’s premier skating facility. Arkansas' very own arena football team, The Arkansas Twisters, reside right here in Little Rock. Go Twisters! A product of the Aerospace Education Center, the Episphere Digital Dome is a state of the art digital dome theater with 150 seats. Featuring the latest full-motion, the 360 degree Episphere Digital Dome is equipped with the best in video and digital sound technologies. Gator Park, with its miniature golf, bumper-boats, go-karts, batting cages, video games and a snack bar, is the ideal place for a child's birthday party or any special occasion. Little Rock Zoo The animal kingdom and all its wonder are available year round and right here in Little Rock Arkansas. Just minutes from downtown, over 725 of the world's most exotic animals call the Little Rock Zoo home. Those animals include; giraffes, elephants, rhinos, chimpanzees, orangutans, gorillas, lions, tigers, jaguars snakes, amphibians and alligators. Wild fun awaits the whole family at the Little Rock Zoo! Willow Springs Water Park is the best place to cool off during those active summer months in Little Rock Arkansas. With a 400ft. slide, a log roll and other water sports available, the whole family will dive head first into fun at the Willow Springs Water Park.